This has been sitting in my drafts for months – it feels like ages ago since I read some of these titles. 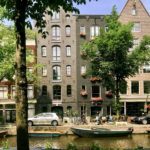 I’ve decided to split it into two, first chatting fiction, with a non-fiction instalment following on later as it was just getting a little bulky. 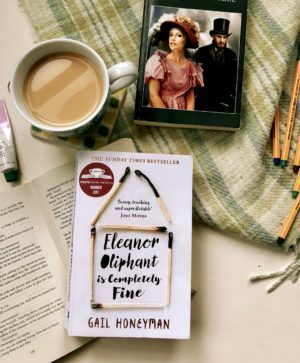 I have read a lot of fabulous books so far this year (I’m keeping count with mini reviews on my Twitter btw) and especially good ones I want to print out are Eleanor Oliphant Is Completely Fine by Gail Honeyman which is so heart-warming and You by Caroline Kepnes. You is also being made into a TV serial this autumn which I’m super excited about and Penn Badgley (Dan from Gossip Girl) is playing the central character which I think is super casting. I read a C. L. Taylor novel that was directed at teen readers a few months ago and was not that impressed. It kind of put me of trying her more established books as I didn’t think I would enjoy her writing style. However a few people recommended her to me so when I saw this sitting on the bookshelf at my parents house I decided to give it a whirl. The Accident follows Susan as she comes to term with her daughter’s potential suicide as she lies in a coma. Susan is sure it is not as simple as an accident and is convinced the answer lurks in her own past. The storyline was really engaging and whilst the answer was clear I loved how it was weaved so intricately between so many other mysteries. I loved the flicking between the past and the present as it always gives a sense of background to a story. I read it in a few hours after having a panic about not reading enough and it was very gripping and fast-paced! 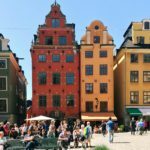 Before my trip to Ibiza I was on the hunt for books to delve into by the pool and saw You in Charlotte’s reading round up. It sounded right up my street and boy, it was good. Told from the point of view of a stalker, Joe, it follows his obsession with a girl named Beck who he bumps into by chance at his bookstore and becomes obsessed with her. It was a bit unsettling reading from the point of view of the stalker as it is a bit different to usual stalking stories. I found myself half way through almost sympathising with him which shows the skill of Caroline Kepnes! It isn’t as simple as a bad guy stalks a good girl and I loved the complexity and realness of this book. 10/10 recommend to a friend. I spoke on my Instagram about how this book made me feel after finishing it as wow, it is a good one. Eleanor Oliphant is a dysfunctional 30 year old woman who lives an ordinary life in Glasgow – working during the week, spends her weekends at home, has a routine, no friends, weekly phone call with her mother, keeps herself to herself. This book shows how a little kindness can change someones life. I cried and cried half way through this book at the loneliness of Eleanor and it is such a powerful read. I adored that it was set in Glasgow as it was such a breath of fresh air and I really hope if it becomes a film they stay true to that. It is refreshingly normal yet is also completely mad and you just have to read it to understand. 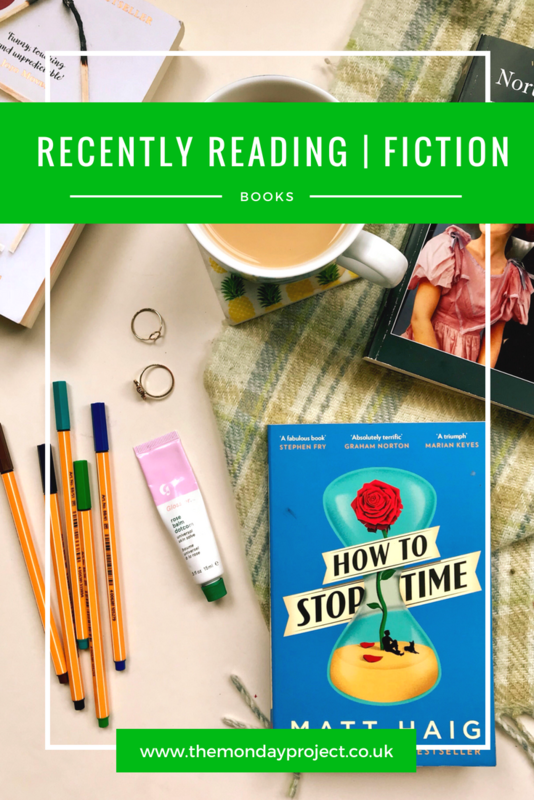 Okay, I wanted to love How To Stop Time but I just didn’t. I’m a big fan of Matt Haig and I really enjoyed his personal book Reasons To Stay Alive (plus his engagement with Twitter trolls is hilarious) but this book just didn’t do it for me. The concept is interesting, a man who ages extremely slowly and has lived for centuries, but the story just felt a bit mismatched. It was an easy read to get into by the pool but I found it a bit boring in parts and it just didn’t seem to flow. It felt rushed at the end, I didn’t like how it was so chopped up and switching between time periods as that felt unnecessary and I found the main character to be an absolute bore. It just wasn’t my cup of tea but it wasn’t horrible and not the worst book I’ve read by a mile. I watched North and South on Netflix a little while ago and literally fell in love with the story. Richard Armitage is fantastic as the brooding Mr Thornton and I adored the industrial setting to a Victorian love story. I then proceeded to watch it three times in the space of five days. I was desperate to indulge more in the story and decided to buy the book. Thanks to Amazon Prime I had it in my possession the very next day and proceeded to devour it. I’ve never felt this strongly about Victorian literature before and as much as I love Pride and Prejudice, I prefer seeing it on the screen than reading Austen’s words. North and South is not the case. It is now firmly up there in my top books spot nestled next to my all time favourite The Hobbit and I think it is going to remain on my bookshelf and be reread on several occasions for many years to come. I’m including these two books together as they probably won’t be for everyone. After absolutely falling in love with the story spun in North and South and lamenting the fact that Elizabeth Gaskell has been dead for about 150 years, I needed to find more of this story. I’ve never delved into fan fiction before but I was not disappointed by these from Trudy Brasure. 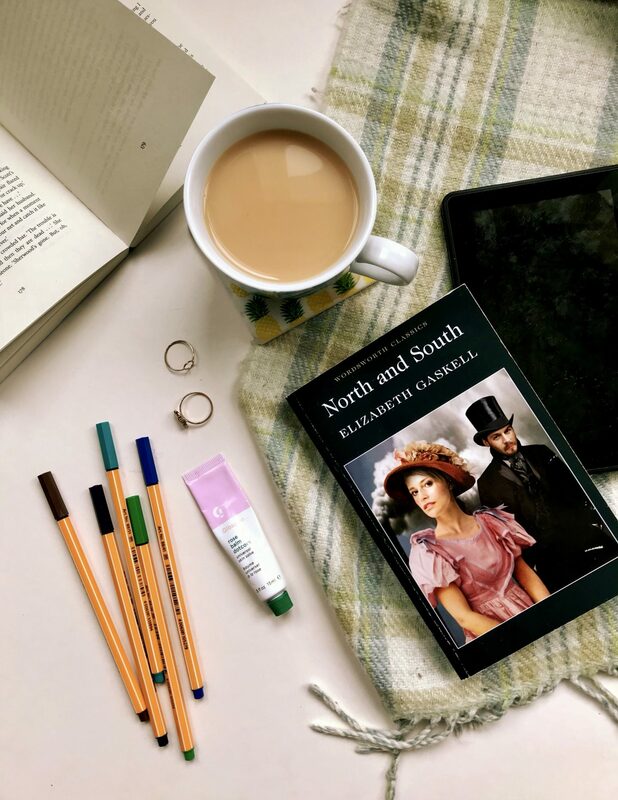 They were fun, silly, romantic and perfectly complimented Gaskell’s North and South. I’ll move on now from being a giant sop.